At Least 1 Person Dies Of Ebola In Democratic Republic Of The Congo : The Two-Way The World Health Organization says one case was confirmed and nine people total were suspected of contracting the virus. The cases were "in a very remote zone ... so we are a little lucky," WHO says. The medical community has reason for cautious optimism in fighting the Ebola virus in Democratic Republic of the Congo: A new vaccine has been created since the 2014 West Africa outbreak. At least one person has died of the Ebola virus in Democratic Republic of the Congo in recent weeks, according to the World Health Organization. WHO says tests reflected the disease's presence in the body of the victim — one of nine people in the remote northern corner of the country to contract hemorrhagic fever since April 22. 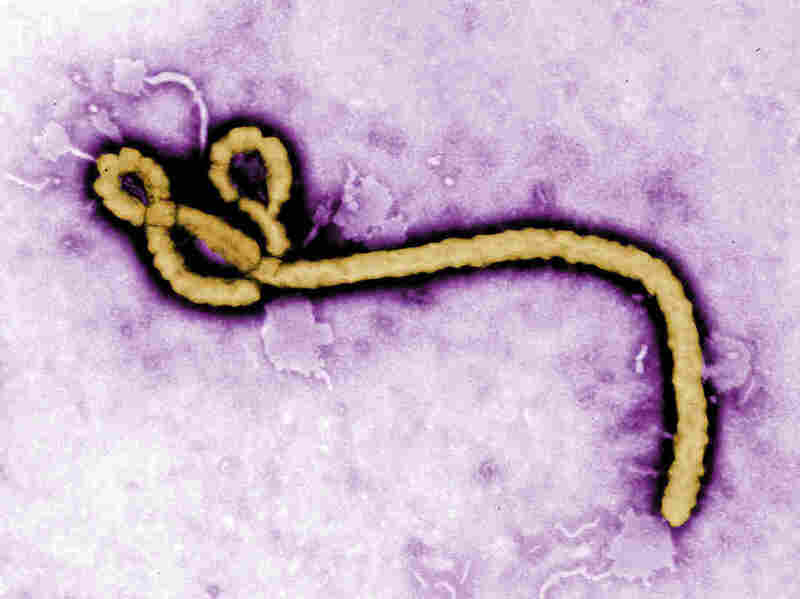 Three of them have died, though at this point, only one case has been confirmed by the country's National Institute of Biomedical Research as the Zaire strain of Ebola. Bas-Uele province, the area of the outbreak, rests in a remote northern stretch of DRC, on the border with the Central African Republic. WHO's Congo spokesman, Eugene Kabambi, says that is reason for reassurance. "It is in a very remote zone, very forested, so we are a little lucky," Kabambi said, as quoted by Reuters. "We always take this very seriously." 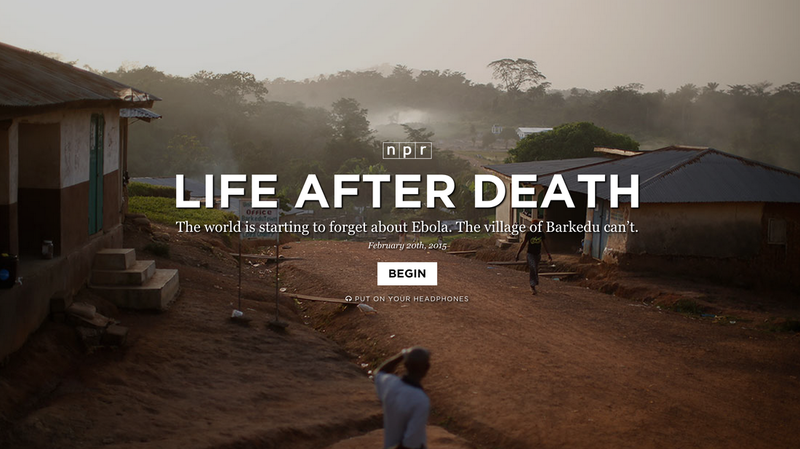 It's clear why: The Ebola epidemic that hit West Africa in 2014 killed more than 11,300 people before WHO finally declared the region Ebola-free last year. But since that epidemic, the world has also gained a new weapon against the disease, holstered in anticipation of another outbreak: a vaccine called rVSV-ZEBOV. View the full experience by clicking on the image. "We were able to estimate the efficacy of the vaccine as being 100 percent in a trial," Ira Longini, a biostatistician at the University of Florida, told NPR's Michaeleen Doucleff last December. "It's very unusual to have a vaccine that protects people perfectly." "No vaccine — or drug for that matter — is perfect. The efficacy of the vaccine is clearly high but not '100 percent.' That value reflects the fact that they just haven't tested the vaccine on enough people yet. So it is likely to decrease as the vaccine is used over time. In the end, the efficacy is likely to sit somewhere between about 70 percent and 100 percent, Longini says." Even at 70 percent, it would outpace the effectiveness of the flu vaccine, which hovered around 50 percent in 2015. The Global Alliance for Vaccines and Immunization says it has 300,000 doses of the vaccine available in case of a widespread emergency.